Money can’t buy happiness, but it helps when the rent is due. When we think of DJing and electronic music production, respecting the art form is always first, but like a shadow, money is always close by. 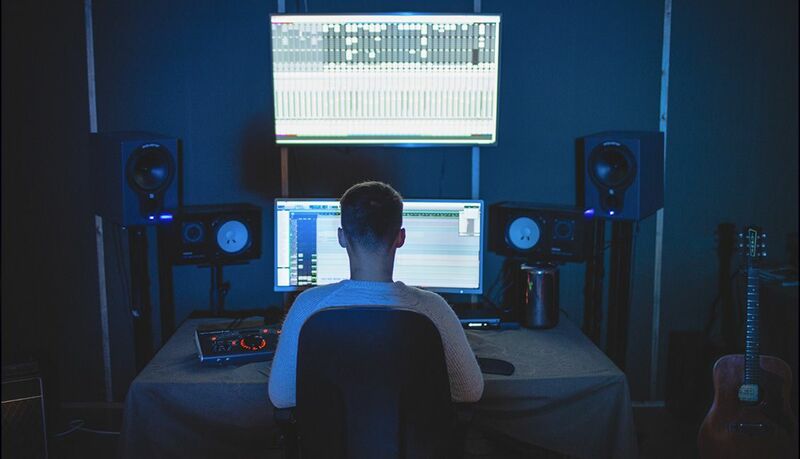 There are a lot of articles on pursuing your career as a DJ or music producer, but when is the right time to start charging for your art? This article aims to share perspectives on the market and outlooks from label and artist points of view. Hopefully this information will help you find the right time in your career progression and help to spark ideas to develop an effective strategy to attack the choice to either charge or not charge others for your artistic creations. First, you are not alone if you are working another job and doing music on the side. The average musician is underemployed. 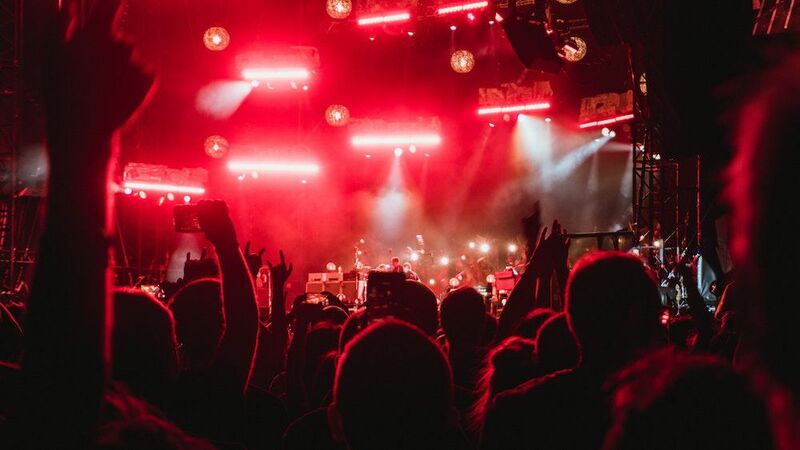 According to a musician survey conducted by the Future of Music Coalition, just 42 percent of musicians are working full-time in music. The rest are complementing their music with day jobs that have little or nothing to do with music. There are a lot of startup and upgrade costs to consider when working in music – new equipment, computer upgrades, software additions. I practice law by day and hit my home studio at night, so I envy anyone who can make music creation a full-time gig. Don’t be afraid to take something on the side to make ends meet. Just make sure to stay on a schedule of production, practice, social media, making time for gigs or supporting events, and mingling in your music circles. My goal is to always produce at least 2 full drafts of an original track or remix a month. Make small goals and keep up with a self-crafted schedule. If I Just Produce, How Do I Make Money? This is a great info graphic, “How Much Do Music Artists Earn Online – 2015 Remix“, that focuses on what it takes for artists to make $1,260 a month (this isn’t really a living wage, but it’s a start.) To make ends meet, full-time artists need some combo of sales, downloads, and streams. This means they would need to have their tracks downloaded around 1,800 times or streamed close to a million times a month – or some combination thereof. 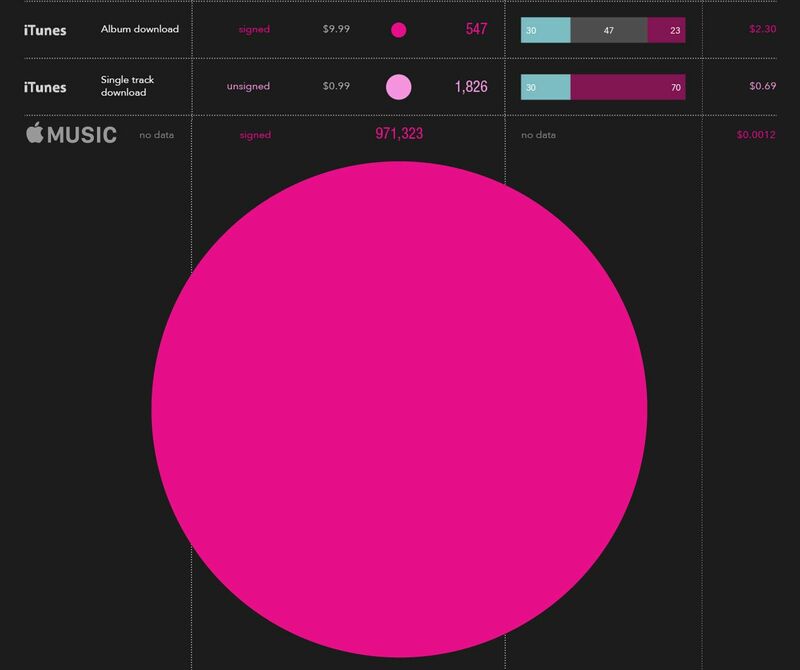 In the United States, electronic music only accounts for 3.9% of the total music that is consumed by Americans. In 2017, reports show that music streaming continues to surge increasing consumption and vinyl sales were up 20.4% from last year. For the moment, it’s unclear how the Music Modernization Act (passed 11 October 2018) will affect these statistics. The focus of the Act is on digital streaming services and identifying songwriters and publishers. My only suggestion for labels and artists is to register your works, so when this act is enforced (it begins 2021), the proper owners can be identified for payment. Let’s focus on a few points above. Electronic music producers are trying to tap into a market that counts for only 3.9% of total music consumption. Of the creators in that market, only 42% are full-time musicians. I’m calling these statistics out because it’s an extreme edge case that a producer will make enough money just by selling music. Ways to supplement or get an upfront fee have to be taken into consideration if you are trying to become a full-time artist. Gigs continue to be the main source of income for most musicians. Gigs are always the ultimate goal to push your music career further and remain the main revenue stream for most producers/DJs. Paid gigs not only put you in front of a fan base, but offer the money artists need to run what is effectively a small business. Don’t think of yourself as a business? I would recommend looking into establishing a limited liability company for yourself or other platform available to you to track costs and get tax breaks. Consider speaking to a certified public accountant when pursuing this avenue. The Small Print Split: Where Does Money From Sales Go? In the data above, the label’s and distributor’s shares are taken into account. A label also has to evaluate this market data with the goal of not only recouping costs of distribution, mastering, or promotion – but also eventually make their own profit share. As part owner of a label, I understand risks on artists need to be taken. Paying advances to artists is a necessary part of growing a label from the ground floor. So when you are asking a label to pay for a track or remix, you are telling the label that your music is good enough for them to recoup their costs through downloads and streams in the current state of the market. Physical products, like vinyl, are also more of an investment for the label so your music/status should be able to work within those potential markets. Most artists that have some notoriety (meaning they have releases that are well supported, made top 100 charts, or released on larger labels) are charging around $80 to $100 US Dollars per track or remix. The larger the artist, the more the fee will creep up. But consider what the label is putting in and getting out when you are negotiating your fee. This illustrates how to put yourself in the label’s shoes and think about how they’ve invested in their name, brand, distributors, promotions and so on. Don’t be afraid to ask about a label’s promotion networks or how they plan to market your music. If they intend on just pushing music out through a distributor, then factor that into your fee. Still to this day I keep an eye on artists in the industry that are becoming more well-known and make it a point to research their back catalogue. Sometimes the labels I find make their way into my dream list, but it gives me an understanding of how their sound has developed and the release route their music ventured through. Is this label a label you really want to release with? Is that label possibly making money? Do they have decent marketing and is it going to make you more visible and possibly bring you shows? How many releases have you had this year? Did the label approach you, and if so, do they really know your music and do they correspond to how you want to be perceived? Do they release on vinyl (thus increasing their production costs)? Is it beneficial to them to have you on their label? These great questions involve artist self-reflection, an important part of artist development. Write out the answers to these questions when you are shopping your music. With a goal in mind, you will already have these established boundaries to refer to. You have to treat each decision like a business decision. In order to grow a business, each decision should be calculated. So before you ask for a fee or submit your music to a label, think about what your best next step would be based on their response. With that intended goal in mind, you can determine what the potential release will add to your portfolio or your wallet. The biggest thing here is that music will stay on the internet, so don’t just pump out a remix for a fee with your name attached that you are not happy with. Make sure it represents your sound and what you are trying to achieve artistically. Once you have determined that you would like to work with a label, I would recommend adding some information that shows the objective credibility of your music. Have a list of DJ/radio support, performance, media reviews, and other stats or history. Just presenting a pay scale to an interested label may not be the best approach unless they are already aware of your status or music. If you’re making music, make sure to track your success – like in Spotify’s Artist dashboard, above. One way to do this is to make sure you claim your Spotify artist profile. Here you can track your streams, followers, and even submit your new releases to Spotify for possible features. 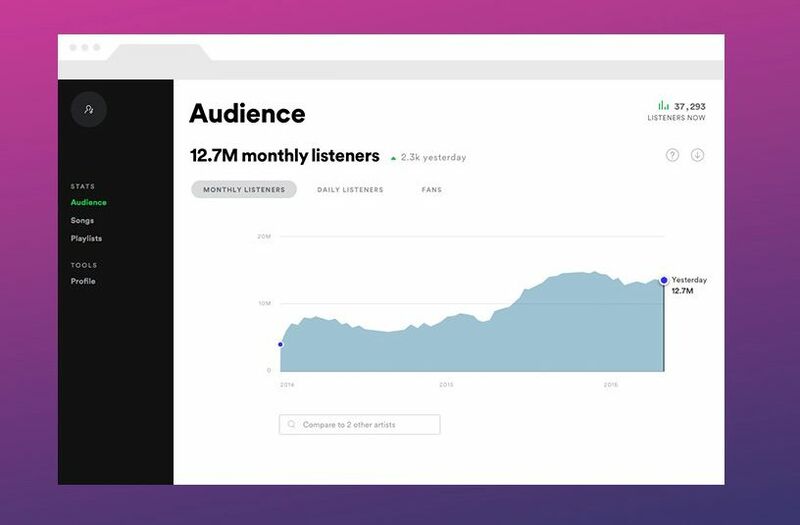 You can also look to other data streams, such as YouTube, Shazam, or other sites that you subscribe to like Soundcloud, to show the overall audience and interest for your music. Pick out a few and work them into your short biography that you send with your music. This way a label knows you mean business and can see in clear numbers what you will bring to their label. 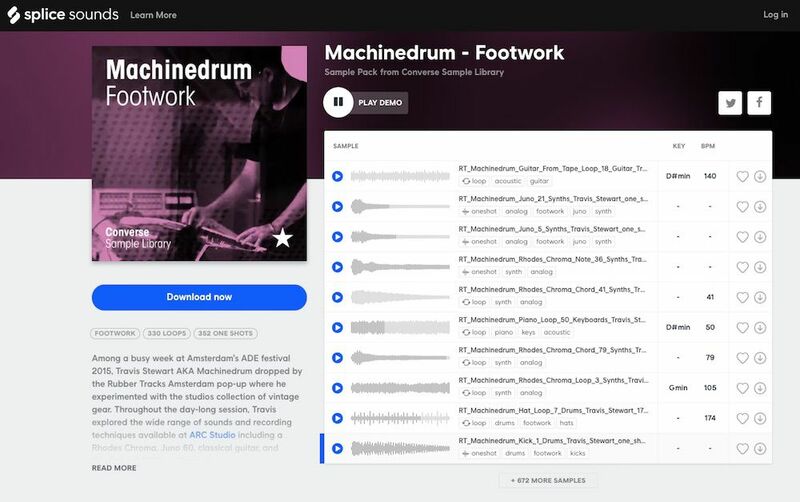 Some artists are pursuing other avenues to raise money such as crowd sourcing or limited releases/downloads for a fee on sites like Bandcamp. You may have to get noticed before trying these self-driven release options, but remember not all productions you put out will be instant classics or right for a major label. Another option is making a sample pack from all the earlier productions you have made or not released. Sample packs can be sold on your own or through a company and may already be lurking somewhere on your studio computer. Consider these options to bring in small additional amounts of income to help your funds stream. The choice on how to navigate as a music mercenary is your own. The path you choose will help define you as an artist. Use the guidance above to help craft an appetizing presentation for labels and develop a road map that may or may not involve charging fees for your music. Think about the next steps and how your next release fits into your business oriented goals. Saleem Razvi is a licensed attorney, DJ, music producer (RazV), and part owner of Unscene Records.Nothing in this article constitutes legal advice.